The Distil Showcase will return again to the Tolbooth in Stirling on Friday 29th March 2019 at 8pm. The concert showcases the new and exciting music of traditional music composers. We are very lucky to have Mr McFall’s Chamber as our resident house band once again. You can buy tickets for this fab night of music here! 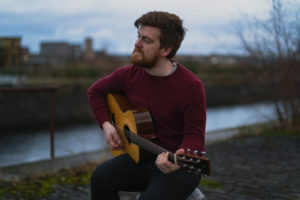 Owen Sinclair has written music called Skipper. Here’s some information about it. This piece of music was inspired by grandfathers time as part of a whaling fleet in his early twenties. During this trip my grandmother was left on the island of Westray with her infant son Hugh whilst currently pregnant with my mother, June. He spent seven months away from home, doing training in Glasgow, travelling to Argentina and then fishing from South Georgia. This music is a reflection on the stories and photographs from his experience as part of one of the final commercial fishing fleets to the Antarctic Ocean.